Do we focus on innovation that’s new and disruptive? 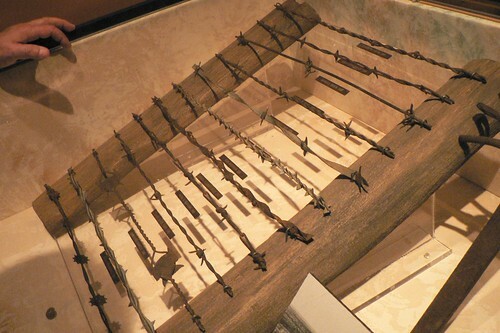 Barbwire was disruptive to the ranching and farming industries of the US when invented. Moving from a rotary dial phone to a touch tone phone was iterative. Because companies tend to innovate faster than their customers’ lives change, most organizations eventually end up producing products or services that are too good, too expensive, and too inconvenient for many customers. By only pursuing “sustaining innovations” that perpetuate what has historically helped them succeed, companies unwittingly open the door to “disruptive innovations”. I’m not an expert on Iterative Improvements as used in Lean and Agile Development, but as I’ve read in the book The Four Steps to the Epiphany, the problem with the sustaining innovations he’s describing is that they aren’t being developed in a customer-centric manner. If we only develop or add features in response to customer “pain” and real needs and avoid the feature bloat that lean/agile companies aspire too, then we should never experience the effect of “producing products or services that are too good, too expensive, and too inconvenient for many customers”. In an agile/lean context as I understand it you would implement just what you had to. What would you do with your “extra” time (compared to your competitors who keep improving even when the customers don’t want it? You can start working on another disruptive product, based on the customer development model described by Steven Blank in his book I linked to above. Don’t worry though, your disruptive innovation will be treated like a toy at first if it’s good.